While it’s true there are certain classic sailing watches every superyacht owner should have in his collection, sometimes you can’t beat the wow factor of a true limited edition timepiece. With high-tech functions and impeccable design credentials, here’s our pick of the best limited edition watches to buy now. Zenith used the occasion of Baselworld 2019 to unveil its first ever timepiece with a silver case. 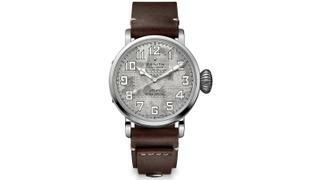 The aviation watch has been created in a limited edition of 250 and features a 45mm case engraved on the reverse with the house's flying instruments logo while other hallmarks of the Pilot line come in the form of oversized numerals, luminescent hands, a wide ratcheted crown and an impressive 50 hour power reserve. 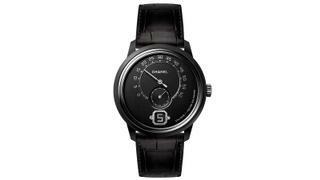 The only men's watch in a series of four limited Édition Noire timepieces launched by Chanel at Baselworld 2019, the Monsieur de Chanel Édition Noire features the same in-house Calibre 1 movement as its main line counterparts powering an instant jumping hour, small seconds sub-dial, date window and 240° retrograde minute. This special edition, however, offers a matte black ceramic case with a matte black dial and crystal sapphire caseback for the ultimate in understated style. 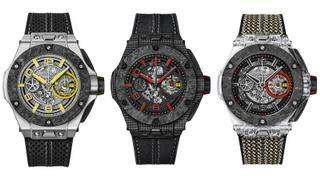 Another Baselworld 2019 release, the Big Bang Scuderia Ferrari 90th Anniversary has been created in three limited edition versions to mark a milestone year for the Scuderia Ferrari race team. Each of the 45mm models is powered by a Unico movement with flyback chronograph, 72 hour power reserve and bezels cut from the same carbon used to create Formula 1 brake discs. Key differences between the three versions comes in their styling. The first (left) is inspired by the early years of the team with a platinum case, perforated leather strap and speedometer-style dial while the second (centre) represents modern research and technology with a 3D carbon case and Nomex strap made from the same fire-resistant material used in racing driver's suit. The final piece (right) has a transparent sapphire case symbolising the high-tech future of motor car racing. 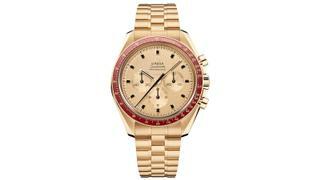 Omega's connection to numerous space missions is well known and has inspired many of the brand's timepieces over the years. For 2019 it returns with a special timepiece marking the 50th anniversary of the watch gifted to the astronauts involved in the first moon landing in 1969. Aesthetically the new Speedmaster Apollo 11 is an almost exact replica of the original timepiece with its burgundy bezel, gold case and onyx hour markers. Inside it's powered by a Calibre 3861 master chronometer while the sapphire caseback features a map of the American continent and a domed lunar meteorite inlay representing the true proportions of the earth and the moon. 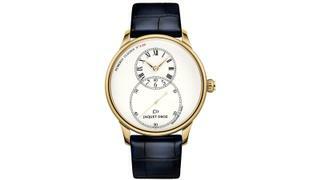 Created to celebrate Jaquet Droz's 280th anniversary in 2018, the Grande Seconde Tribute represents the first time the house has offered a yellow gold wristwatch in the Grande Seconde line. Featuring the signature '8' design created by Pierre Jaquet-Drox, in which the hours and minutes are displayed in a smaller top dial and the seconds on a larger bottom dial, the limited edition design is crafted with a traditional and technically difficult Grande Feu enamel dial. The caseback, meanwhile, is semi-open and finished with hand guilloché and the brand's two star symbol representing father and son. Unveiled as part of a host of new models in the Diver Chronometer collection at the Monaco Yacht Show 2018, Ulysse Nardin's Diver Chronometer Monaco pays tribute to the brand's long-running connection with the show. 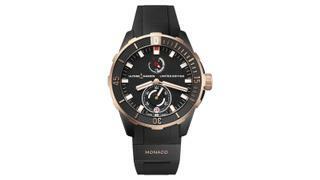 The Monegasque flag can be found at 12 o'clock while the number 26, 27, 28 and 29 in red reflect the dates of the 2018 event and the Monaco coat of arms is etched into the caseback. 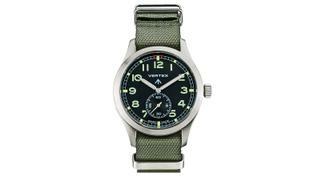 The watch also boasts subdials for power reserve and small second along with a date window.